Subscribe to our mailing lists to make sure you never miss the latest announcements and highlights from Saunders College of Business. In case you missed past announcements, be sure to check out our recent highlights below, our highlights archive, browse our News and Media Coverage pages, or browse our Saunders Social Media Directory to connect and engage. Pioneered by the MS in Management graduate program, the Saunders Leadership Fellows Program at RIT is a highly selective cohort-based learning experience for MS in Management and MBA students in Saunders College of Business. After three consecutive years of top 10 rankings for the Management Information Systems (MIS) program, Saunders College of Business at Rochester Institute of Technology has moved up to #6 in the nation recognized by College Factual. Exceptional, modern-day accountants need an exceptional, modern-day accounting education. As the #1 program in Western NY, ranking nationally #62 for undergraduate business programs in the U.S. News & World Report Best Colleges Rankings, Saunders College of Business provides just that. 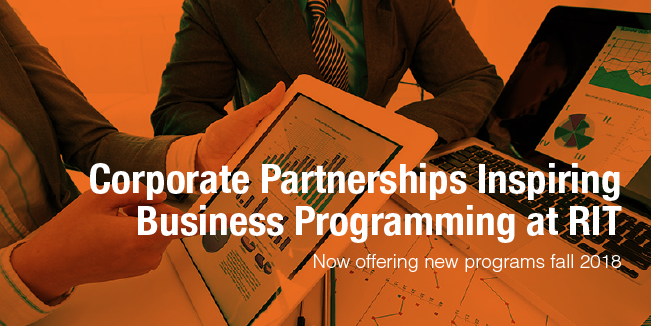 Saunders College of Business has well-established success in customizing corporate solutions to meet the unique needs of companies, in a large range of industries. Customized Executive Education cultivates leaders with the strategic skills and global vision to tackle unique challenges. 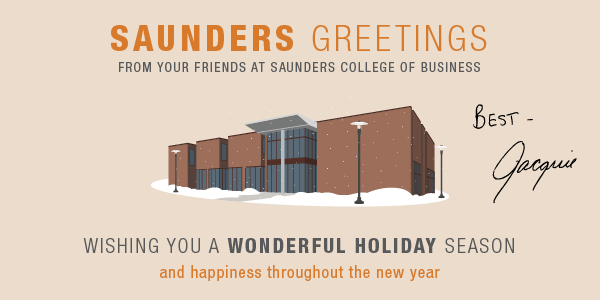 Saunders College of Business is grateful to its esteemed donors. With their help, Saunders College has grown to become a beacon of success, delivering impact at the intersection of business and technology. Starting in the fall of 2018, Saunders College of Business is introducing two new programs - BS in supply chain management and MS in business analytics. Study abroad opportunities continue to grow in both scope and size for Saunders students. This past calendar year included trips to Croatia, South Africa, and China, among others. 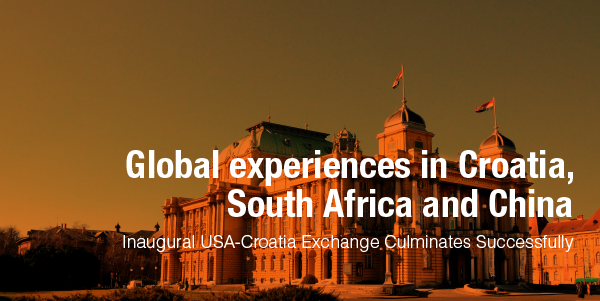 International Business students from RIT Rochester participated in the USA-Croatia Global Exchange in the spring 2017. The semester-long program formed a cohort with students from RIT Croatia, spending time on both international campuses. Once again, Saunders College of Business at Rochester Institute of Technology has been named by USA Today as one of the top 10 colleges for a degree in Management Information Systems (MIS). A top 100 university, as ranked by U.S. News and World Report, the undergraduate programs at Saunders College continue to garner attention, ranking #64 overall.